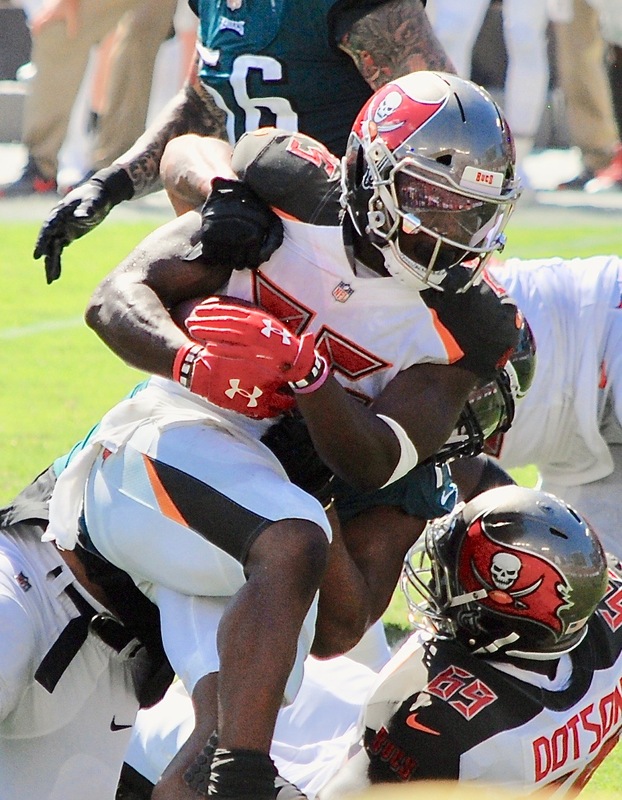 Five players who need to play well for the Bucs in today's game against Chicago. 1. Payton Barber, running back: I know, I know. It's been tough sledding for Barber all season. On the other hand, I haven't noticed him missing many wide-open holes. The Bucs' coaches may like their offensive line, but I think the run-blocking is a myth. Barber has to have 70 yards, maybe 85, against the tough Bears' offense so Ryan Fitzpatrick doesn't have to do it alone. 2. Demar Dotson, tackle: Dotson has some penalty lapses, but today, he's lining up against Khalil Mack, probably the early favorite for defensive MVP. Dotson will probably have some help a lot of the time, but he has to hold Mack to one play, maybe two. 3. Kwon Alexander, linebacker: The Bears' offense isn't great, but if Chicago can run the ball, it can win. Alexander and Lavonte David lead the team in tackles weekly, but both will have to be very good today against Jordan Howard and Tarik Cohen. 4. Mike Evans, wide receiver: The Bears are coming. They'll blitz like crazy, which means someone on the Bucs is going to have to run some hot routes. Evans looks like a good guess. His average per catch may go down, but the Bucs will look to him often. 5. Ryan Fitzpatrick, quarterback: Fitzpatrick can play well without throwing for 400 yards. No one has against the Bears this year. But if Fitzpatrick can avoid the first-half mistakes that plagued him a week ago, the Bucs can win this. Next post: Random thoughts: Is a Cy Young in Snell’s future?